Kesaribath is a very popular dessert in South India. Kesaribath is nothing but saffron infused cooked rice and sweetened with sugar along with loads of ghee. It is a rich dessert and tastes heavenly. The method to make it is very simple. Once done, it is very hard to stop eating it. Saffron really gives it a nice flavor. I got this recipe from my mother. She used to make it once in a while. Do try making it and remember it is quite rich too. Notes: Basmathi rice - Generally jeera rice is used to make kesaribath, which is a short grained rice. Basmathi rice worked fine for me. Water - Amount of water depends on the rice. Generally the amount of water required is double the amount of rice to get well separated cooked rice. I added little more than 1 cup and worked fine. Just take care that the rice doesn't get too mushy. Saffron - It is very important in this recipe. It induces a nice flavor. But if you don't have it then just use yellow food coloring. Ghee - Generally ghee will be oozing out from kesaribath i.e more ghee better it tastes :-) So vary accordingly. Wash the rice and soak it in water for 20- 25 minutes. While the rice is soaking, add saffron strands in hot milk for 10- 15 minutes. Now take a pan and add 1 tbsp of ghee. Start heating it and add broken cashew pieces and cloves. When the cashews start changing color, add in the raisins. Continue frying until the raisins plump up. Then add water. When it starts to boil add the soaked, drained rice and mix well. Then add the saffron soaked in hot milk and mix well. Continue heating this mixture until the water is absorbed. Now add sugar and remaining ghee. Mix it gently and continue heating until sugar gets absorbed. Then turn off the heat. Finally add the cardamom powder and mix well. Kesaribath is ready!! Serve it hot or at room temperature. Above measurement serves two people. Shel Saaru is a very old konkani dish. I got this recipe from my mother. In Konkani 'Shel' means 'not hot' i.e at room temperature. Saaru is nothing but Indian soup which is served with rice. Generally saaru is made by roasting spices, then grinding, then cooking it down and finishing it with a seasoning. But the speciality of this dish is it is not cooked. The coconut is ground with the freshly roasted spices and then a good seasoning is given. It is a very unique recipe and not known to many. This was my favorite dish as a kid and my mother used to make this often. It had been so many years since I had this. Hence I thought of making it, so that I can share the recipe too. The 'saaru' really made me nostalgic. Take a pan and roast the dry red chilli in few drops of oil. Then transfer it on a plate. In the same pan add few more drops of oil and then add coriander seeds. When it starts to roast add the cumin seeds and asafoetida. Continue heating until it turns light brown and turn off the heat. Transfer it into a plate for cooling. Now take grated coconut, tamarind, jaggery, salt along with roasted spices and red chillies in a blender. Grind it by adding little water to get a paste. Transfer this paste into a bowl. Adjust the consistency by adding water (I kept it medium thick). Then finally add the seasoning. For Seasoning: heat oil in a small pan. Once hot, add mustard seeds. Once it starts spluttering, add the curry leaves and turn off the heat. Add this seasoning to the prepared mixture. Mix well. Shel Saaru is ready!! Serve it along with rice. Above measurement serves two people. Sanna Polo is a popular Konkani dish. It is a spicy dosa loaded with onions (also cabbage, if desired). It makes a good accompaniment to rice and dal. This is one of my favorite dish. I have already posted a recipe for sanna polo here. It is my mother's version and I grew up eating that. Last year my MIL's sister mentioned about adding toordal and hence wanted to try that version too. Finally I tried it and it came out very tasty. There was only a slight difference in taste, in comparison to the first version. I didn't add cabbage as I love loads of onion in my dosa :-) Do try making this unique dosa!! Wash and soak toordal and rice for two hours. While it is soaking, chop the onion fine. Drain the water of soaked dal- rice mixture and put in a blender along with roasted dry red chillies, tamarind, grated coconut and salt. Grind it. Add little water while grinding to get a thick paste. Transfer the ground mixture to a bowl and adjust the consistency by adding water. I kept it medium thick. To this batter add the chopped onions. Mix well. Batter is ready. Now add a ladel full of the mixture on a pre heating skillet and start spreading it to desired thickness. Add little oil over the dosa and close the lid for a minute (let the heat be on medium). When the base of the dosa turns brown, flip it to brown the other side of the dosa. Once it turns brown on the other side, remove it from the pan. Sanna Polo is ready!! Serve it hot as a side dish to rice and dalitoy. Above measurement serves 2-3 people. Note: You can also include cabbage in this recipe. If you want to add then decrease the amount of onion and replace it with finely chopped cabbage. Even this dosa tastes equally good. Do try making it and enjoy (remember that dried nuts are high in calories. Limit yourself to 1-2 piece a day). * I used a mixture of almonds, pistachios and cashew nuts. You can use any nuts of your choice. Take the nut mixture and dry roast it until a nice aroma is got (no need to brown it). Then allow it to cool for few minutes. Now chop the pitted dates. Then heat it until it is warm (this process softens the dates). Now put the dates in a blender and grind it to get a coarse paste. Transfer it into a mixing bowl along with chopped nuts and raisins. Mix using greased hand until everything comes together. Divide the mixture into two parts and shape it into logs. Then put them in the refrigerator for an hour. Now cut them into slices of desired thickness. Date and Nut Rolls are ready!! Put it in an air tight container and store in a refrigerator. I made 16 slices. Dry roast all the ingredients one by one (until they turn light brown) as listed under "For Dry Roasting". Allow them to cool. While it is cooling, wash the bell pepper and then cut them into thick strips (or any shape of your choice). Discard the seeds. Now take all the dry roasted ingredients in a blender along with tamarind and grind it. Add little water so as to get a smooth paste. Now take a pan and heat 1 Tbsp of oil. Once hot, add mustard seeds. 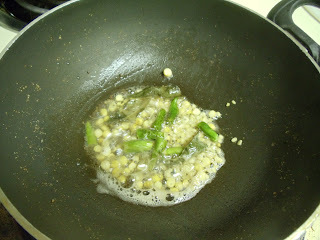 When it starts spluttering, add curry leaves and fenugreek seeds. Fry for few seconds and then add the bell pepper strips. Mix well. Fry it until it gets slighted roasted. Then transfer the whole thing to a plate. Now in the same pan add the remaining oil and add the ground paste, red chilli powder. Fry it until it becomes thick. Now add good amount of water and mix well. To this add jaggery and salt. Finally add the seasoned roasted bell pepper to this gravy. Mix well and cover. Let it cook in the gravy on medium heat for 8- 10 minutes. Give a stir in between and check if water is required. The final consistency of the dish is medium thick (keep in mind that the gravy thickens as it cools down). Serve it hot along with chapathi or phulkas or naan. Above measurement serves 2-3 people. Heat oil and add mustard seeds. Once it starts spluttering, add cashew nuts, chana dal, urad dal and curry leaves. Fry until cashew nuts, chana dal and urad dal turns slight brown. Once it turns light brown, add semolina and fry it until a nice aroma is got. This step might take 3-4 minutes. Semolina has to be constantly stirred and heat should be medium. Once a nice aroma is got, turn off the heat and allow it to cool. While it is cooling prepare the masala. For the masala- take grated coconut, cilantro, green chillies and ginger in a blender. Add little water and grind it into a smooth paste. 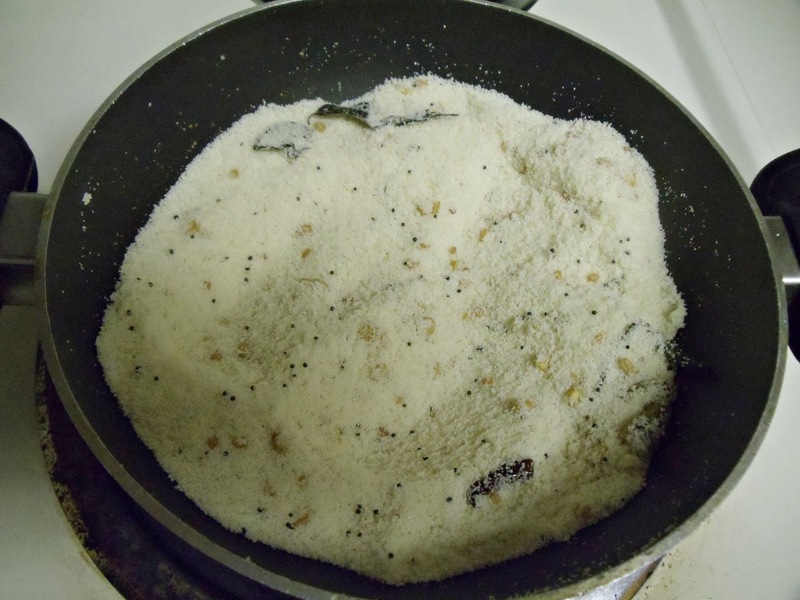 Now add the ground masala, yogurt, milk, sugar and salt to the semolina mixture. Mix well and add water, if required. Let this mixture sit for 15- 20 minutes. Now grease the idli moulds with oil. At this point add little water to the batter if it is too thick. Then add the eno fruit salt to the batter and mix well. Then start putting the batter in each mould (fill upto 3/4 th of it). Serve it hot with Coconut chutney or mint chutney. Above measurement makes 12 medium sized idlis.